There are certain species of plants and animals that are endemic (meaning: native or restricted to a certain country or area) to a specific area. This makes awareness on these animals and plants practically nil in other parts of the world. The extinction, therefore, of these flora and fauna species may not be noticed at all. Based on this condition, a general list of animal and plant species, which are considered threatened by extinction, must be made. Towards this end, the International Union for the Conservation of Nature (IUCN) took the challenge in coming up with such a list. In spite of the IUCN accounting of the threatened and endangered species, possible extinction of species still persist. Coming up with the Red List, therefore, is not the final solution to the problem. Success has to do with enforcement from the local level. If not, the listing will not work and it will just be a worthless exercise. 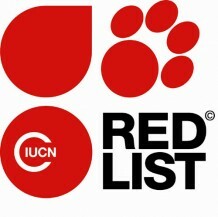 Let’s support this initiative… the IUCN Red List of Threatened Species.